The term “classical architecture” refers to a building that is either from antiquity or copies this ancient style. 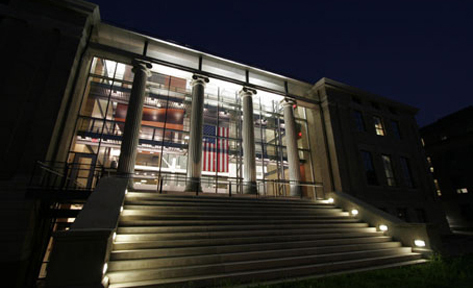 During the design of Page Hall, future home of the John Glenn Institute, Miller/Watson understood “classical” not as a stylistic or temporal adjective, but as a metaphysical one. Today, Page Hall is an experiment in timelessness. No longer does it represent a point in mankind’s history, but rather the accomplishments of mankind throughout history. For the first time, the “classical” moniker accurately describes this building – destined to house a private institution dedicated to the public good. Designed by Miller/Watson while principals of Lincoln Street Studio.